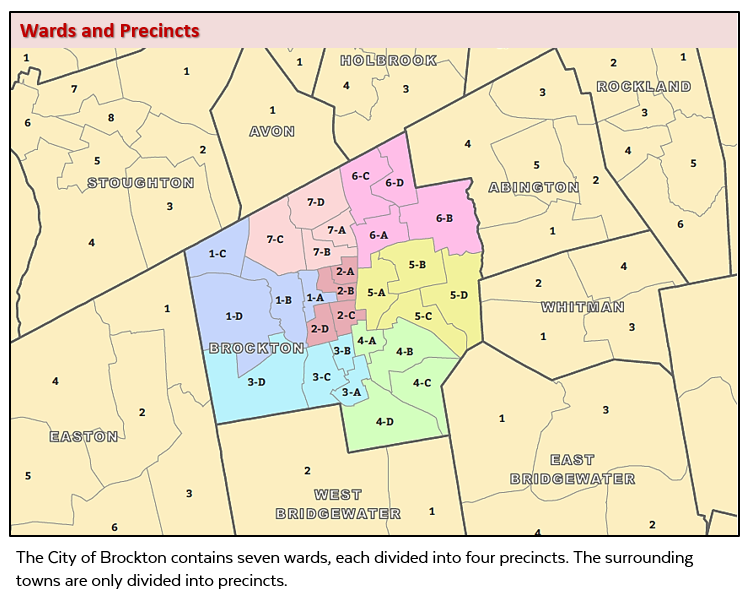 Wards and Precincts for Massachusetts cities and towns. Wards are geographic areas used by governments for local elections. These are then further divided into precincts, in which the polling locations for voting are held. 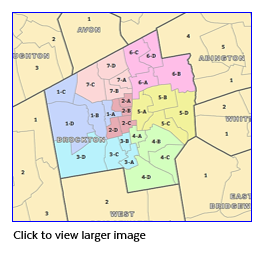 In Massachusetts, only cities comprise both wards and precincts; municipalities designated as towns contain one or more precincts and no wards. MassGIS obtained the data in September 2012 and edited the data in the fall of 2018 to update a few areas in Boston based on data from the city revised in 2016. The layer includes population values from the 2010 U.S. Census. Staff at the Massachusetts Secretary of the Commonwealth developed this layer with its contractor, DAPA Research, Inc. (Boston, MA) using Maptitude for Redistricting software. The City of Boston revised its boundaries in 2016. MassGIS projected the data and performed QA. MassGIS will distibute a new version of this layer once processing is complete after the 2020 U.S. Census.